Top Job Search Websites can be a lot more help than you can comprehend when it comes to finding a suitable job for yourself. With the advancements in technologies, most recruiters are turning towards job search websites and other web 2.0 properties to advertise openings in their organizations. I thought it would be a good idea to compile a comprehensive list of some of the top job search websites and web 2.0 properties that are particularly helpful for job searchers, all in one place. This article is a result of all the research I did on the most popular and usable job search sites. Here is the list of some of top job search websites I could dig out for you, arranged in no particular order. Hound is different and one of the most admired job sites. Its philosophy is simple, and that is to expose the jobs directly from employers to the prospective employee. No middlemen or recruiting agencies are allowed on this website. The benefit of this website is that it exhibits opportunities that are displayed on the employer's portal. These are the opportunities that usually get less of applications as they are not advertised on the regular job portals. Thus your chances of landing up with a job are better here. If you are looking for Fortune 500, Fortune 1000, Inc. 500 and Inc. 5000 jobs, then this is the place to look at. Have a quick look at http://www.hound.com for an idea about the service. One of the oldest job search portals, Job Serve does a good job of advertising job opportunities across all the 15+ verticals it operates in. If the company is to be believed then it is the first job search portal on the internet. Jobster is an example of social recruiting in action. They serve about 24 different verticals and are very much involved in the recruiting process of their customers. This is a brand to reckon with in the job advertising arena. One of the most conspicuous names among recruiters and job seekers, Monster serves almost every imaginable industry vertical. All you have to do is create your profile in their website at http://www.monster.com and then upload your resume. Recruiters and prospective employers who browse through the Monster database will then contact you for meetings. Those were some of the top job search websites that have been around since ages and have developed a unique brand of their own. They are renowned, have good variety of services and provide access to some of the leading organizations of the present day. Remember, too, that these are all free job search websites. Hope you found this article helpful in your pursuit for a new job. If there is any other top job search website that you feel deserves a mention in this page then please feel free to contact me. 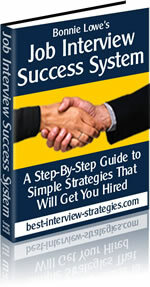 I will review it and then post it here for fellow job seekers.